This double-breasted vest is a real beauty! 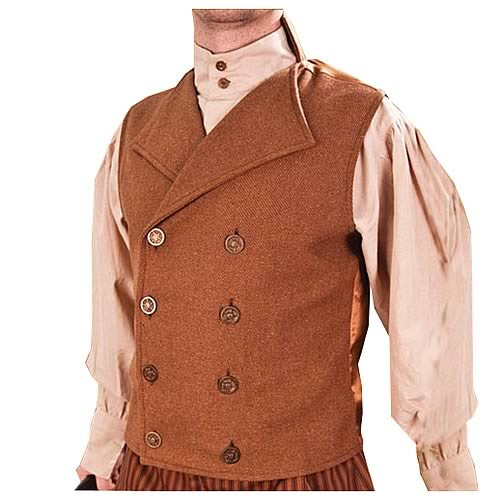 Tan Steampunk Engineer Vest sports a twill wool front. Features antiqued-brass buttons and a satin back. The high rear collar and eight antiqued-brass buttons make this double-breasted vest a real beauty! The tan Steampunk Engineer Vest sports a twill wool front and a satin back with an adjustable strap. It comes in sizes S, M, L, or XL.